Here is another post from Firebob. Down bags are great when weight is a consideration, and you have the ability to keep them dry. Like almost everything in the camping/preparedness/”survival” market, the quality tends to range from sublime to ridiculous poor. The first down bags I bought were obtained concurrently with a poor quality pack, and the bags weren’t much better. They were sewn through, and had linear cold places around the entire length of the bag. After a steep learning curve, I obtained better down bags, and still use them under some pretty controlled conditions – where I know there is a good chance of keeping dry and there is a need for light weight. Other insulation types are more forgiving of damp conditions. However, the remark that is the hallmark of those of us (me included) who favor wool for clothing, and synthetics for sleeping bag insulation that those materials “keep you warm when wet” are hopeless optimists at best and good storytellers at worst. There is NO WAY that a wet sleeping bag or wet wool clothes will allow you a comfortable, warm night’s sleep. You may not die of hypothermia, but trust me, you won’t be comfortable!!! Learn how to keep you bag and clothes dry, and do not be tempted to crawl into a sleeping bag with damp clothing, because then everything will become damp and nothing will become dry. Keep your bag as clean as possible, and when possible, air it out often. Mummy bags are confining, but lighter in weight. They are also often more expensive, but also, can be of better construction. For cost saving, and if your perceived needs involve only vehicle transport and/or back yard camping, or staying in your residence but without power (think earthquake, nearby tornado, hurricane, etc. ); a conventional rectangular bag of medium to good quality may meet your needs. Also, learn the “cowboy bedroll” system of a couple of wool blankets inside a tarp, poncho liner, canvas, or bivi-sack. As I started this reply, I noted I have gravitated to the Wiggy’s system. They are admittedly pricy, but consider the following. They are very well made, with high quality materials. They are made in the USA (important to me, maybe not to you?). Wiggy’s bags come in different sizes!! In a sleeping bag, you are only warm when the air in the bag is warm. If you are 5′-1″ and 100 pounds inside a bag big enough to hold a 6-3, 250 pounder, it is likely to be cold. Wiggy’s Flexible Temperature Sleep System has five or six different sizes, from small, svelte to small, not-so-svelte to big and tall !! Additionally, the Flex Temp system consists of two bags, one typically a 30-degree rated bag and another one that is rated colder. They are designed to slip and zip one inside the other thus creating a single bag that is rated significantly colder than either bag – like minus 20 to minus 60 depending upon your bag choices. Although expensive, consider this. If you can budget only one bag at a time, you are actually getting TWO sleeping bags, and in an emergency, could augment one or both with blankets. Then you can add additional “systems” as your budget allows. You can also use this concept to increase the utility of existing bags you may already have. Prior to Wiggy’s purchase, I have inter-layered two inexpensive down bags to create one pretty fair bag. I also have made fleece liners to both extend the comfort range and keep the bags cleaner. It is far easier to wash a fleece bag liner than the sleeping bag itself. And truthfully, it is a lot more comfortable slipping into a fleece liner than thrashing around for a few minutes trying to warm up the nylon fabric of the bag itself. 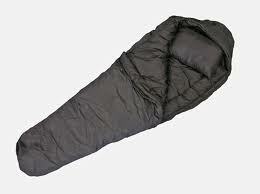 Warm is nice, and a cold nylon cocoon wakes me up more than it puts me to sleep for the first five minutes ! Paracord and Why You Should Include it in your Preps. More Good Information on Mothballing and Maintaining Small Engines. This entry was posted in equipment, Shelter, survival and tagged Firebob, sleeping bags, Wiggys. Bookmark the permalink. Couldn’t agree with you more re: Wiggy’s Sleeping Bag. I picked one up from Brigade that came with a snap on Gore Tex Bivy. This is my cold weather bag with a fleece liner. Military Special Forces tend to get the very best equipment. These were advertised as over runs from a contractor that mated the Bag with the Bivy. They do the testing for me and I’ve been glad to see others including yourself come to the same conclusion. My Summer Bag is a very lightweight Thinsulate version I couple with a mosquito head net without spray on it. Thanks again for confirmingbmy purchased some ten years ago. It’s still new waiting for a flood/fire/?